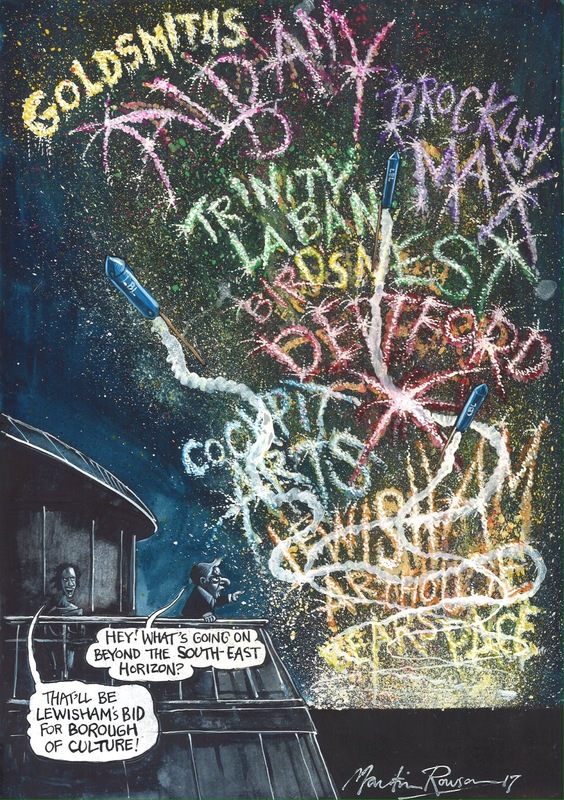 Lewisham is bidding to host London's new Borough of Culture festival. Two winners will receive £1m from the Mayor of London to stage events in 2019 and 2020. 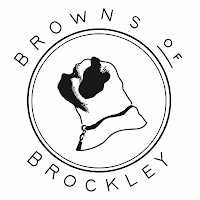 Browns of Brockley has always been too popular for its tiny footprint, so the news that it is expanding in to the vacant Speedicars office is an early Christmas present for dedicated Brownies. The team confirm that they inked the deal a week ago and will soon be expanding, giving them more space and flexibility in terms of the menu. Blackheath, Kidbrooke and Eltham stations are set to lose their direct rail services to Victoria from December 2022, according to new documents issued by the Department for Transport today. But Bexleyheath line passengers will be able to take twice as many trains from Lewisham to Victoria, lessening the pain for passengers who complained about the possibility of losing the link. The current Victoria services will be switched to the Sidcup line, while half the trains that currently run from Hayes via Catford Bridge to Charing Cross will now run to Lewisham, Nunhead, Peckham Rye, Denmark Hill and Victoria. This brings direct trains to Victoria from stations such as Hither Green, Lee, Mottingham and New Eltham; as well as Ladywell and Lower Sydenham. With thanks to Joe for the spot. 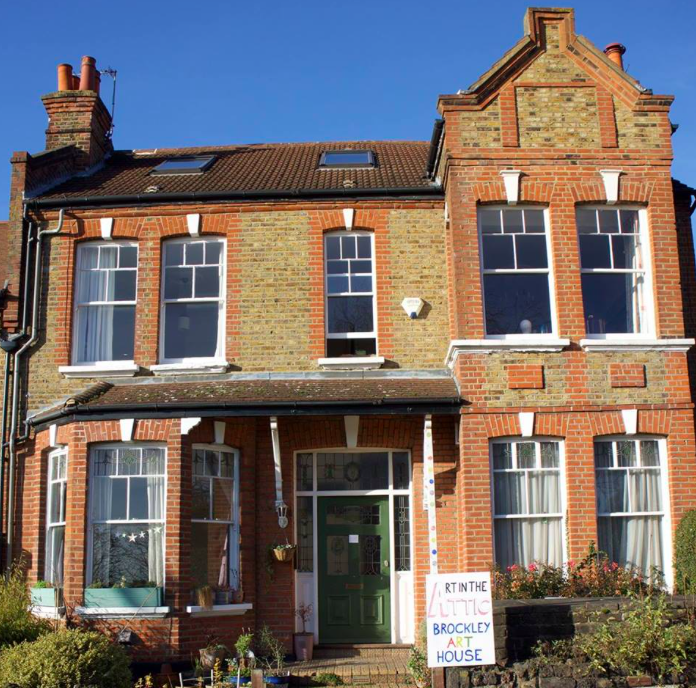 The change of use and conversion of the existing shop together with demolition of the existing single storey structures and the construction of a two storey building to the rear of 330-334 Brockley Road SE4 fronting Beecroft Lane to provide 3 x one person one bedroom self-contained flats. The development would not have directly compromised Jam Circus, but any residential development that encroaches on a pub is always cause for concern on the basis that future residents may find grounds to complain about people having fun outside their windows, even if the revelry was there first. 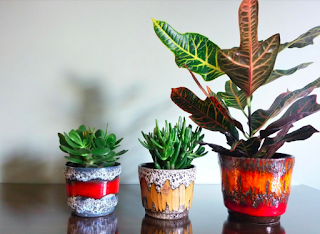 "We fell in love with West German planters of the 1960s and 1970s (as well as similar styles produced in East Germany, the Netherlands and Italy). Plant pots produced in this period include a myriad of styles, colours and textures that can make even the most familiar plant look fantastic and also add a level of design and craftsmanship that is hard to find in a modern product. "We started off selling at local vintage fairs (such as Peckham Salvage Yard and So Last Century in Catford) and got a really great response which encouraged us to invest in the website and we now do nearly all of our trade online." Visit their website or their Instagram feed. TfL has announced that its successful Night Tube service will be extended to the East London Line between Dalston and New Cross Gate on Friday and Saturday nights, starting on December 15th. The plans were first revealed in July. The service will allow people to travel throughout the night and connect with the equivalent Jubilee Line service at Canada Water. The service will be extended to Highbury & Islington next year. We are "House of Nomads", popup lifestyle shop based in Brockley, offering household products we hand picked from Japan and Asia. Since 2014 we have organised a few private sales andwe are returning on 2 and 3 Dec with more items we picked from our recent trips to Asia. 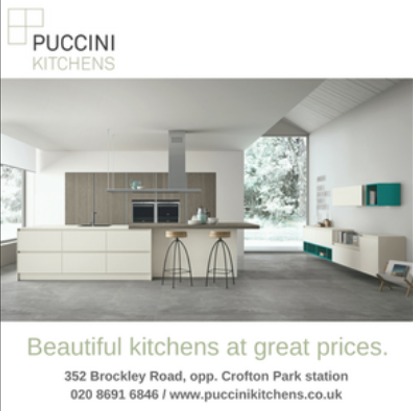 Expect pottery, kitchenware, bath linens, household items, stationaries, children's toys and more... 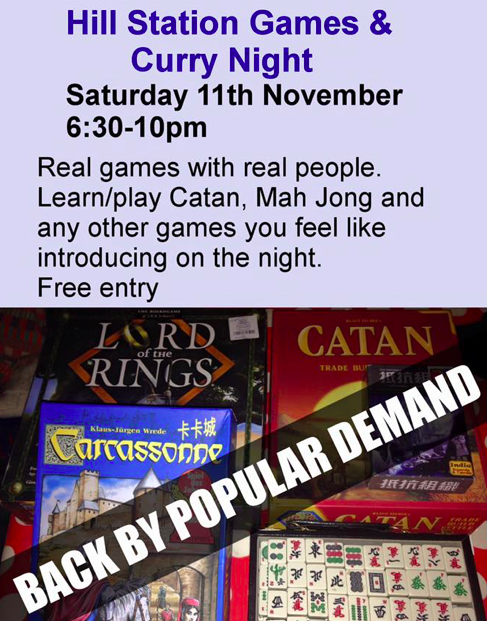 Please come and find utterly unique Christmas gifts for everyone. Suttons Radio (139-141 Lewisham High Street) is the new sister bar of Jam Circus. Operated by pub group Antic, it replaces the Ravensbourne Arms, which closed last year, giving them a more central toehold in Lewisham. 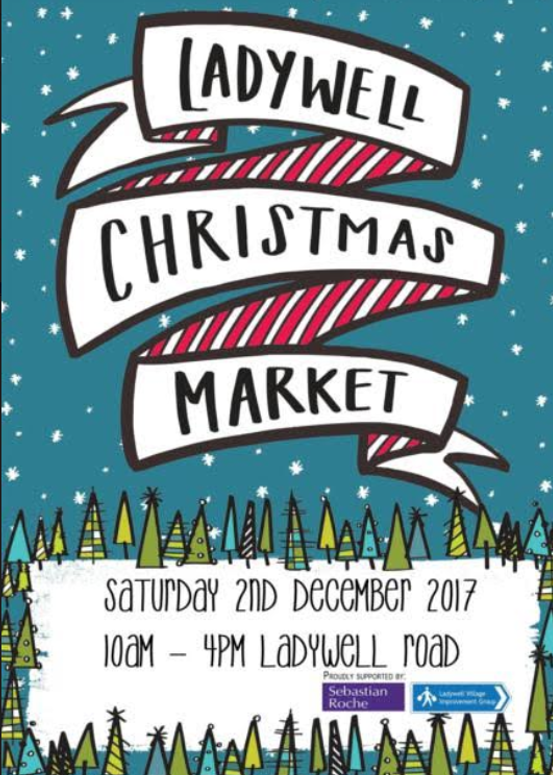 Join us for a day of superb shopping, fabulous food and energetic entertainment at the Ladywell Christmas Market! 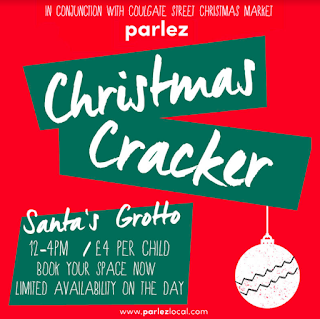 We’ve got a whole host of fantastic stalls lined up, with prefect presents and gourmet gifts for friends and family. 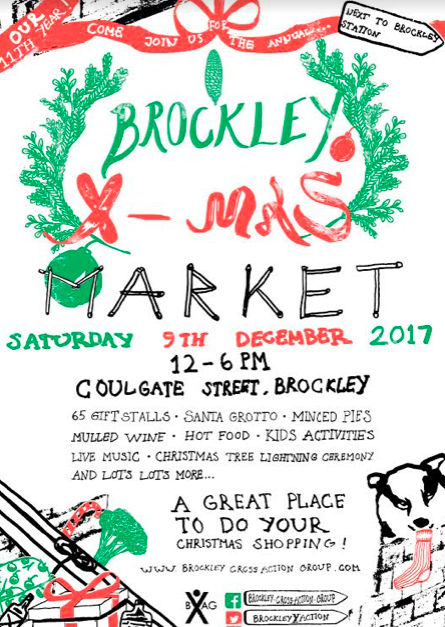 Local designers, marker, artists and craftspeople will be showing off their talent and selling their wares at the market. 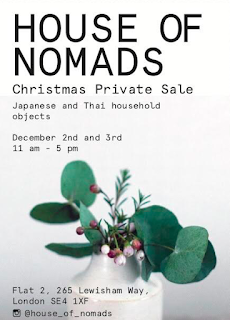 Offerings include jewellery, home-wares, ceramics, textiles, handmade toiletries, art and prints. 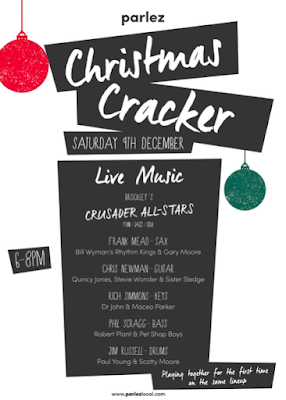 We’ll also have stalls selling Christmas wreaths, decorations and cards for that truly festive feeling. And for the person that has everything – treat them to a gourmet gift! From chocolates to cheese, the choicest chutneys and divine Italian produce, you’ll be sure to find a favourite to suit. You won't go hungry at the market – we’ll have hot Caribbean grills and Middle Eastern mezes for sale, plus three local cafés and a deli - there’s a range of food and drink to suit all tastes. 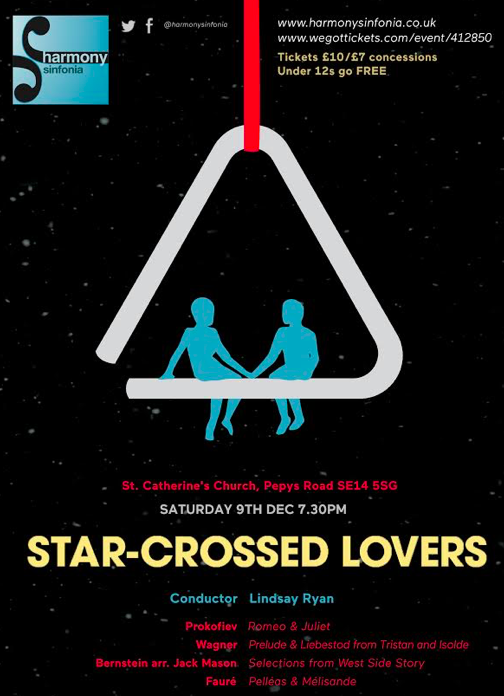 To keep you entertained we have St Mary’s Choir and Dacre Women’s Morris during the day and in the evening, the festive fun continues at the Ladywell Christmas Market After Party with live music at the Ladywell Tavern. 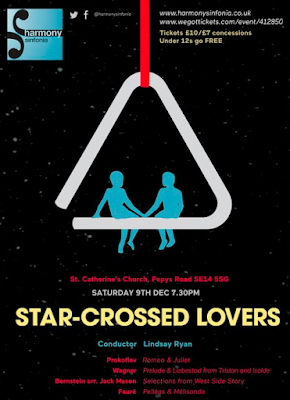 Come down and join us for the raffle draw at 7.30pm, Joel Bullen and Friends at 7.45pm and dancing ‘til late. We can’t wait for you to join us for a day of festive fun! 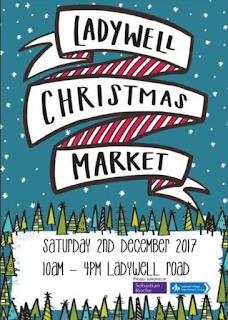 Ladywell Christmas Market takes place in the centre of Ladywell – 10am to 4pm on Saturday 2nd December. Ladywell Christmas Market is very generously sponsored by Sebastian Roche estate agents. The Mayor of Lewisham has selected Curzon cinemas as the Council's preferred bidder for the redevelopment of Ladywell Playtower. 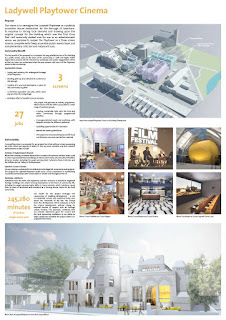 Of the four proposals shortlisted to restore the derelict building, the Curzon plan was ranked joint-first by Council officers alongside a rival cinema scheme from Picturehouse, and came second to the Picturehouse plan in the public consultation. A petition against Picturehouse gained momentum in recent days, due to the pay and conditions offered to the parent group's workers. The Curzon scheme was produced in partnership with developers Guildmore and will include "a mix of residential, nursery and supported living uses across the remainder of the site." The result is a fantastic turnaround in the fortunes of the building - which once looked doomed - and great news for Ladywell as a destination. 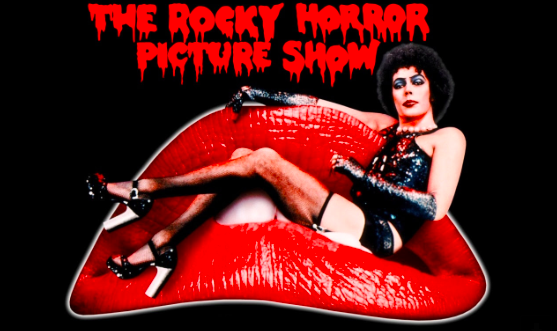 Calling all Rocky virgins and committed fans: The campest of cult classics is coming to church. The screening will take place in the gorgeously gothic atmosphere of St Nicholas Church, Deptford. An adventure of love, hate, seduction and garter-belts follows. Will our young love-birds survive with their integrity intact? All profits will benefit the 2018 festival. The people have spoken - and they demand a cinema. On November 15th, the Mayor of Lewisham will meet with his cabinet to discuss the four bids to redevelop the Ladywell Playtower. Two cinema chains (Picturehouse and Curzon), a property consortium (RJK Properties / Copeland Park and Hillman) and Goldsmiths College have submitted plans. A public consultation has been running since the summer and, when asked, the public chose fun. 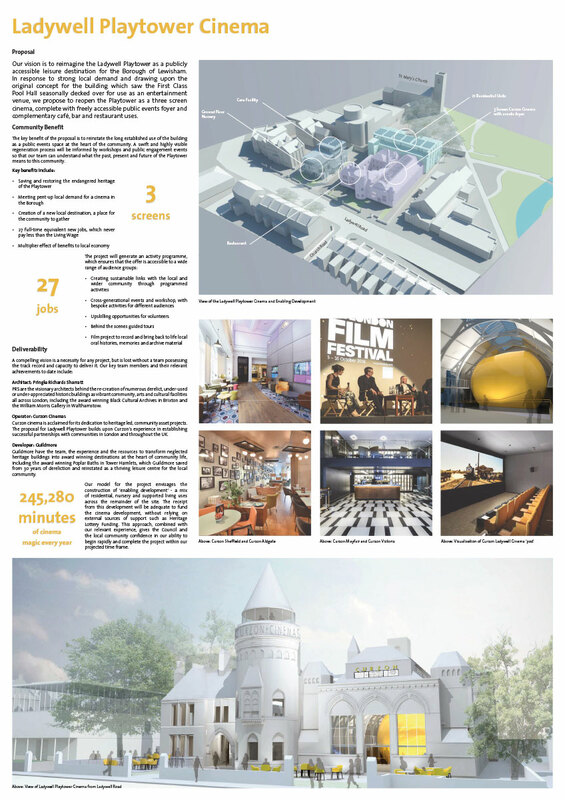 In the public vote, the Picturehouse bid (below) came first, followed by Curzon, RJK and Goldsmiths. Picturehouse wants to develop a 5-screen, 620 seat cinema, with café and bar space. The main cinema space would be included within the existing fabric of the pool hall while a two-storey building would be built to the rear of the building to accommodate four more screens. Curzon offers two fewer screens but includes a residential component. In the public feedback, Goldsmiths' proposal was not deemed to offer enough benefit to the wider community, while the RJK 'cultural quarter' left people wondering what it was supposed to be or how it would be delivered. Any of the bids would deliver a boost for the area and breathe welcome new life into an important building, but the Picturehouse bid would be transformative for Ladywell. Thanks to Ladywell Paul for the prompt. The Brockley Christmas Market will be the biggest ever. The full quota of 65 stalls is now taken, Santa and the Christmas Fairy are booked and the playlist has been chosen. All that remains is for you all to come. 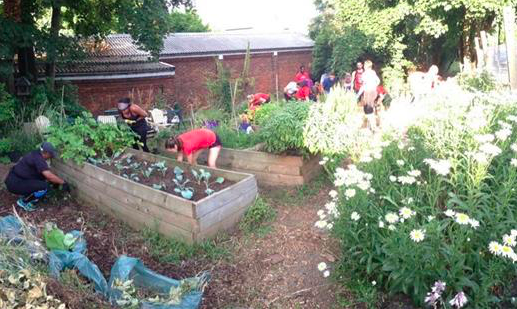 We have big plans for the Railway Garden and need your help to make them a reality! Firstly, we'd like to thank all those who voted for the project at the Crofton Park Ward Assembly. We succeeded in getting the grant! This will help with our continued efforts to make small improvements. To achieve this goal, the team have been hard at work applying for funding and seeking match funding, including bidding for £25,000 via the Aviva Community Fund. We would be grateful for readers' votes in support of our bid. Please sign-up to vote here. This will be my eighth season of running the Jack Writers Workshop At the Brockley Jack Theatre and this year we have designed a brand new course for playwrights and those wishing to try their hand at writing for the stage. We are now taking applications to join the group. I have also decided to launch a series of new creative writing workshops at the Brockley Art House where I run monthly open art salons exhibiting the work of London artists and a unique selection of vintage, antique art and collectables. The writing workshops are starting fortnightly on Wednesday evenings 7.30pm- 9.30pm and Saturday afternoons 1pm – 3pm for intimate groups of people wanting to find the time and impetus to write this winter. Again, although writing is a solitary pursuit, it is far nicer shared with a small group of like minded individuals to compare notes and progress through different exercises. With a bottle of wine to share on Wednesdays or afternoon tea on Saturday afternoons the idea is to keep a social and relaxing atmosphere whilst also encouraging a rapid response of writing to a number of given exercises to kick start those who may have come to an impasse with their writing or just wanting to find new ways into creative writing. For more details and to book your place- as there are only seven places on each workshop please click on the link. "New parking restrictions in St. John’s causing a nightmare for us residents at the north end of Wickham, Breakspears etc... I literally see cars stalking down the road each morning until they finally find a spot to park." In the long-run, if St John's ceases to be a convenient place for lazy drivers to park and ride into central London, then it may mean fewer journeys on our roads as out-of-towners give up and move further up the line and locals learn to walk to the station. Or the problem may become a permanent side-effect for people on the perimeter. Either way, it is not clear whether the CPZ is a net benefit to the area. "Unfortunately seems the only answer for our roads now is further residents parking restrictions." Lewisham Southwark College, Lewisham Way, SE4 1UT. 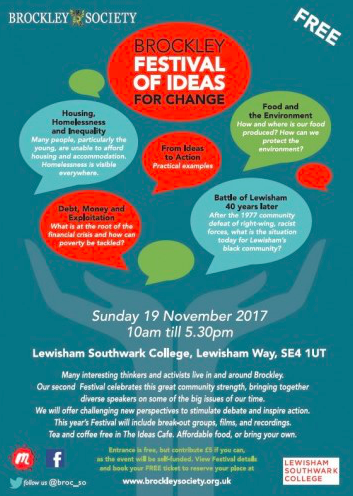 The festival is back for its second year, with speakers including nailed-on new Lewisham Mayor Damian Egan, Andrew Mitchell from outstanding local homeless charity 999 Club, Battle of Lewisham academic Dr John Price, food futurist Rosie Boycott, boxing coach Jon McKenna, agricultural economist James Skinner and reparations scholar / activist Esther Stanford-Xosei. 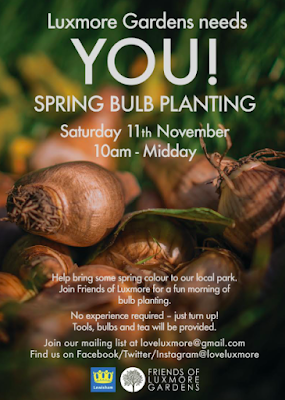 We will welcome donations from those who can afford it as the event is self-funded. Tea and coffee will free, with affordable food at lunchtime, or you can bring your own. Doors open at 9.30am for registration and coffee before the 10am start. We look forward to welcoming you to this stimulating event which we believe will contribute to actions for change. After months of speculation, Honor Oak sourdough specialists Mama Dough have confirmed they will be coming to Ladywell. A great result for the high street, which caters well for daytime punters, but is short of evening options. The nicening of Luxmore Gardens continues. Be a part of it. Exit Swiftkill, enter Number 50 Friendly Street. Opening next week, the replacement for the pest control office promises to be a classic cafe, with plenty of tea and cake. St John's is a relatively untapped market and this spot, overlooking a park and just up the road from a primary school, is a promising location, with little nearby competition for nice places to sit.